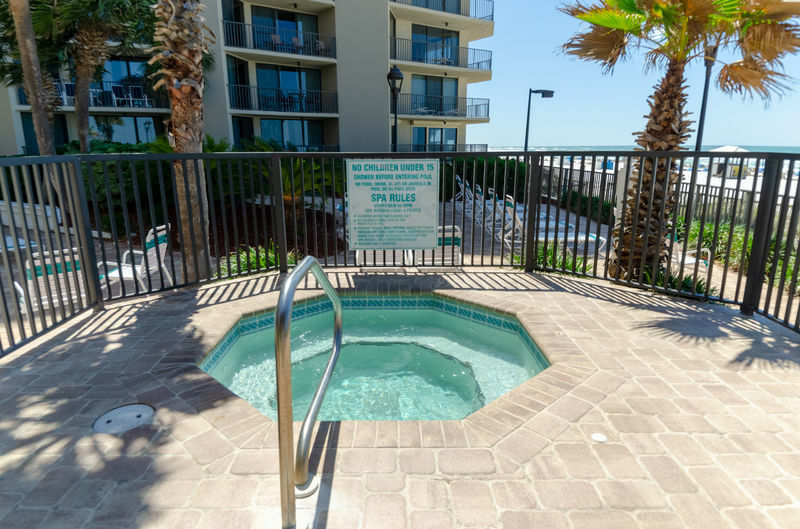 Summerhouse Resort will be your favorite place to stay in Panama City Beach, Florida! Welcome to Endless Summer! What a great view from your balcony! Plenty of room to kick back and relax in a casual coastal setting. You'll feel like you are sleeping on a cloud in our luxurious king bed. The Blue Lagoon Master Suite opens right on to the balcony and you can see the ocean from your bed. The Blue Lagoon Master Suite has plenty of storage and a separate dressing/vanity area. Beautiful high quality modern cabinetry and granite counter top make this master suite a special treat, you'll feel like you are at the spa! Elegant modern tiled shower is pure luxury. Relax and wash away all your cares. The coastal feel of this bed is unsurpassed. 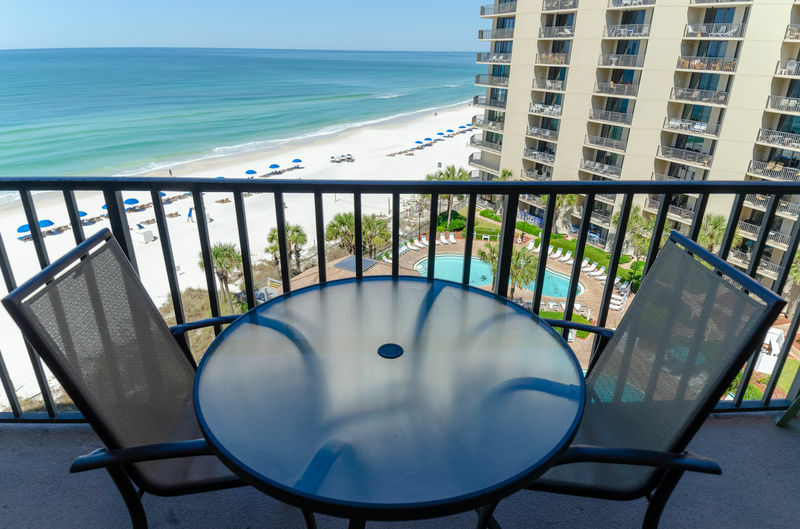 You have a wonderful view of the Gulf of Mexico's emerald waters and shimmering sands from your private balcony. You'll love swimming in the sparkling pools. This modern updated kitchen has all the conveniences of home. Whether you are making a quick snack or a gourmet meal, you;ll find the things you need to get the job done while you are looking out at the ocean. The breakfast bar is great for extra seating and for the extra "sous chefs" too. You can see the beach from the kitchen, the great room and the master bedroom! Beautiful wainscoting in the dining area really sets this area apart! The Palm Isle bedroom is a comfy retreat for the kids or a second couple. Two luxurious full beds and a flat screen TV, too! The Palm Isle bathroom has a single vanity, a toilet and a tiled walk in shower. There's a stack washer and dryer available in the condo. We also provide an iron and ironing board. The beachside gazebo is an amazing place to hang out without getting too much sun! Summerhouse pool complex is really amazing with two beach front pools and plenty of lounge chairs. 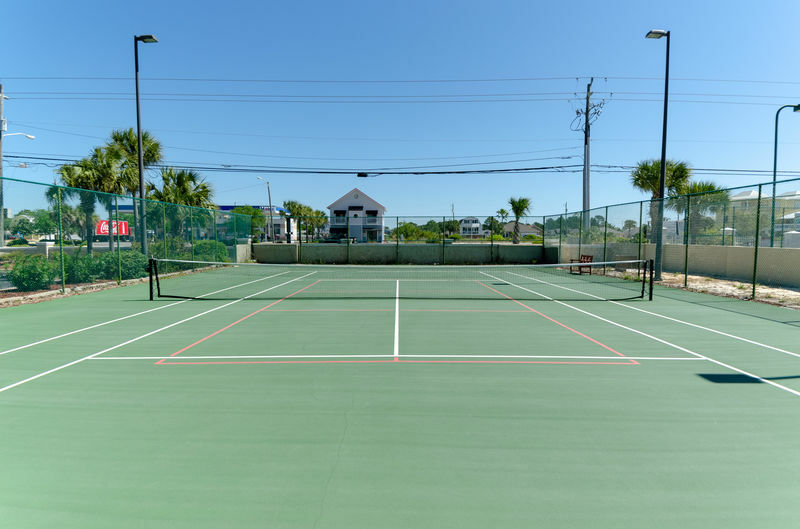 On site lighted tennis courts are free for guests to use. 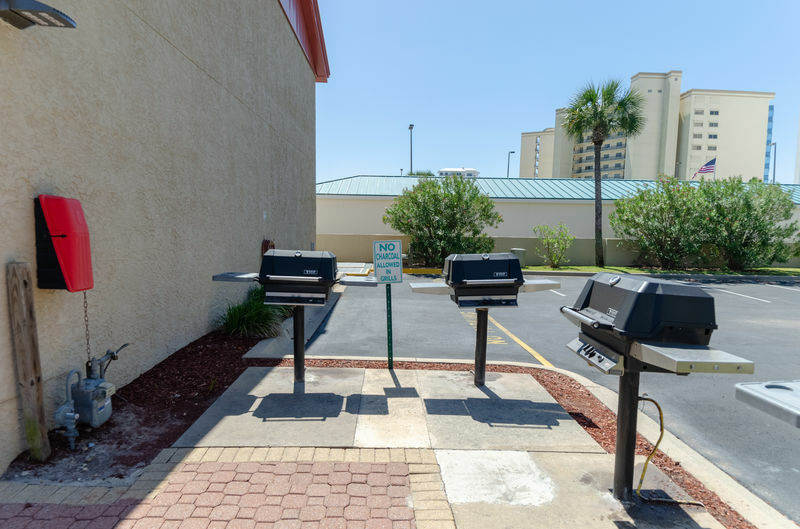 Gas grills are available for guests to use. These are located near the tennis court. 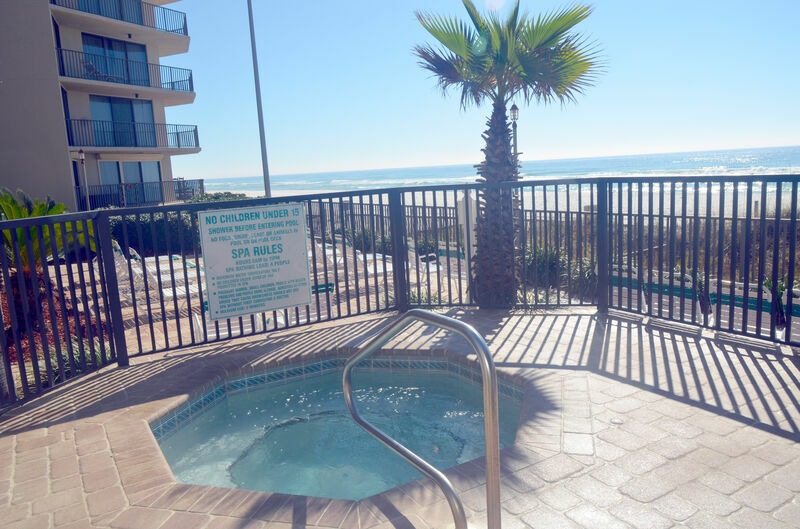 The hot tub is right on the beach, too! The Summerhouse Hot Tub is beach front! Can't wait to get your toes in the sand? Book now to reserve your preferred dates! This property fills up fast! Here's your view of the Summerhouse complex from the beach. Welcome to The Summerhouse, you'll be enchanted by this lovely beachfront complex. 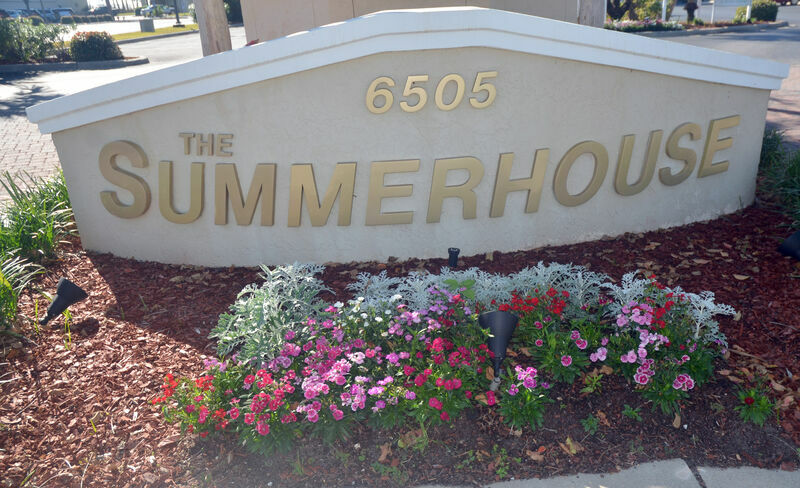 It's a beautiful day at Summerhouse, especially when you are staying in Endless Summer 809B! See you at THE BEACH! The game room with pool tables, game machines and snack/drink machines just off the lobby. It has a pool and beach view, too. Oh, there's that BEACH again! Stop by the beach showers to wash off some of that sand. Great gas grilling area for nice cookouts. Grills are not allowed on condo balconies due to fire department regulations. Great activity room for getting together with the new friends you are sure to meet at Summerhouse. 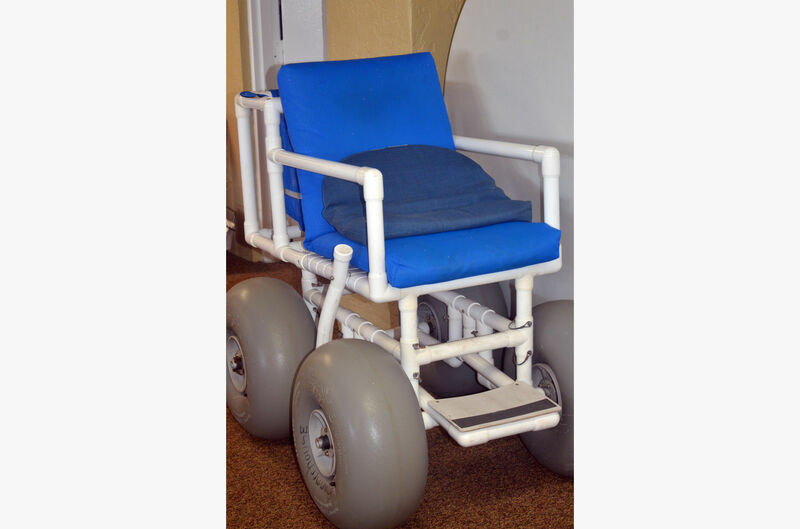 Beach wheel chair available, check with the front desk. There's plenty of room around the beachfront pools with plenty of loungers for everyone. Our balcony view of the pools and the beach. The kid's pool is really nice for the little ones. Relax and enjoy the sounds of the surf. 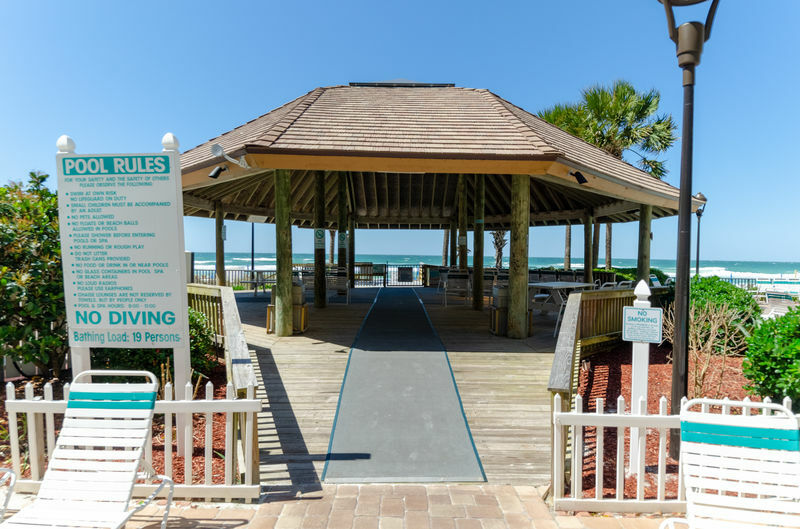 The Beachfront Gazebo has plenty of room to enjoy the beach while you sit in the shade! What a beautiful way to enjoy the beach. It's nice to have a little beachfront shade for relaxation. Beautifully maintained tropical landscaping puts you in the beach state of mind. The pools almost blend right in to the ocean. You'll love this beachfront pool complex. Summerhouse shuffleboard. Get out and get a little exercise while you have fun! Welcome to “Endless Summer!” Summerhouse 809B in Panama City Beach, Florida, is true Gulf front luxury! This beautiful property is decorated in elegant coastal style from floor-to-ceiling! 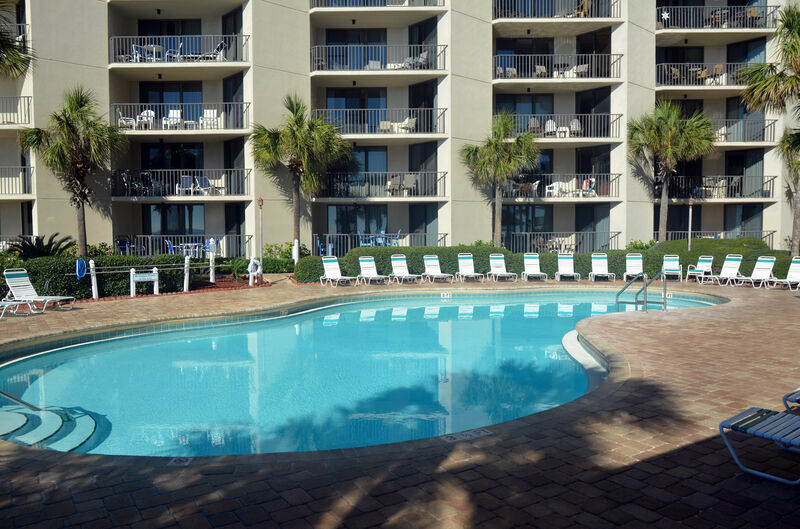 With all the comforts of home, plus more, “Endless Summer” will quickly become your Favorite Place in Paradise! Amazing ocean vistas! Sleeps 8 in one king bed, two full beds, and a queen sleeper sofa. 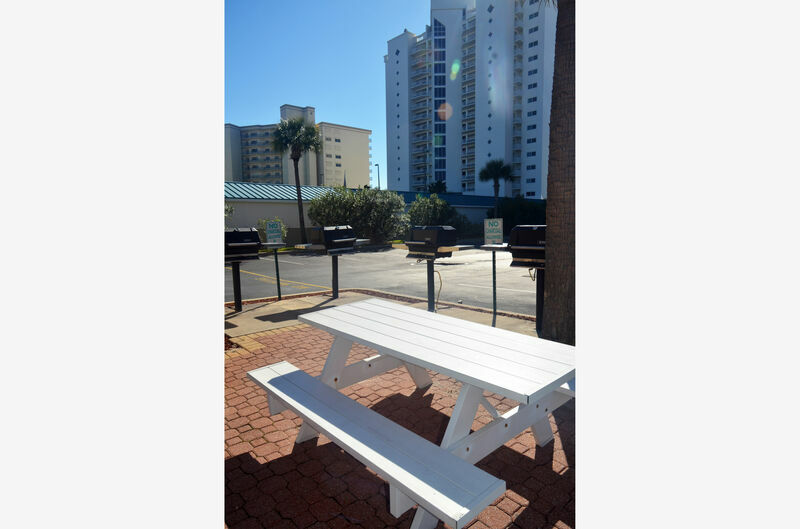 Complimentary beach chairs are included with your rental. Please contact us for current specials and great discounts! Phone: 850-234-0997, Toll Free 1-844-808-7272, or Click Here To E-Mail Us. The expansive great room offers large comfy queen sized sleeper sofa, one recliner, one luxurious arm chair, huge flat screen TV, and is beautifully decorated with cool, beachy tones! 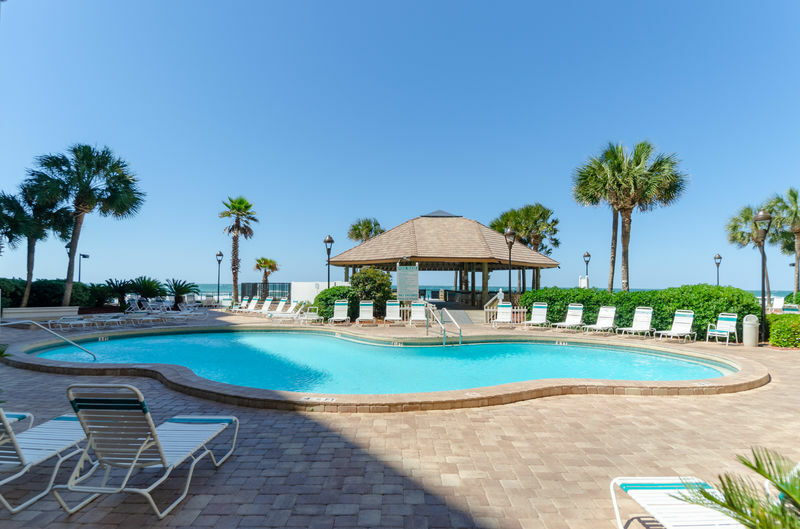 Watch your favorite shows, take a quick cat nap, enjoy time with family and friends, or just delight in the unbeatable view of the Gulf of Mexico from the floor-to-ceiling windows. There is an amazing view from every angle! With the coastal décor and furnishings, it is impossible not to feel peaceful and stress-free! The open floor plan flows naturally into the dining area, seats 6 at the recently upgraded dining set, there are also 2 additional barstools at the bar. Enjoy those emerald green waters while you dine, what could be better than that?! The modern kitchen offers high end cabinets, stainless steel appliances, and all of the small appliances you’ll need. The property is well equipped with cooking utensils, dishes, glassware, flatware, etc.! Whether you are making a quick snack or cooking a gourmet meal, you'll love the ocean view from the kitchen. 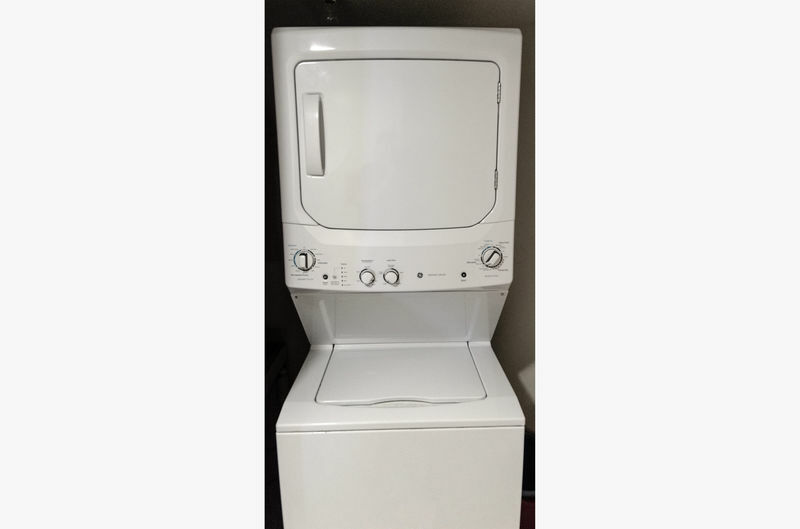 There is a stacked washer and dryer and ironing board with iron for your convenience, too! The spacious gulf front Blue Lagoon Master Suite with its calming décor and comfy king-sized bed is perfect for the best night’s sleep of your life! The master suite also has a large flat screen TV, chest of drawers, sitting area, and a private en-suite bath that offers large vanity area with plenty of storage space with his and her closets, and a beautifully tiled walk-in shower! The Palm Island guest room has two restful full size bed and is decorated in cheerful green tones. The guest bedroom also has flat-screen TV, an adjoining full bath with an elegant tiled shower and granite topped vanity. All beds have high thread count luxury bed linens. Fluffy high quality bathroom towels, and kitchen towels are all included, you’ll feel right at home! Free local and US long distance phone service and free high speed internet access are both provided for your convenience and enjoyment. All condos are not the same. 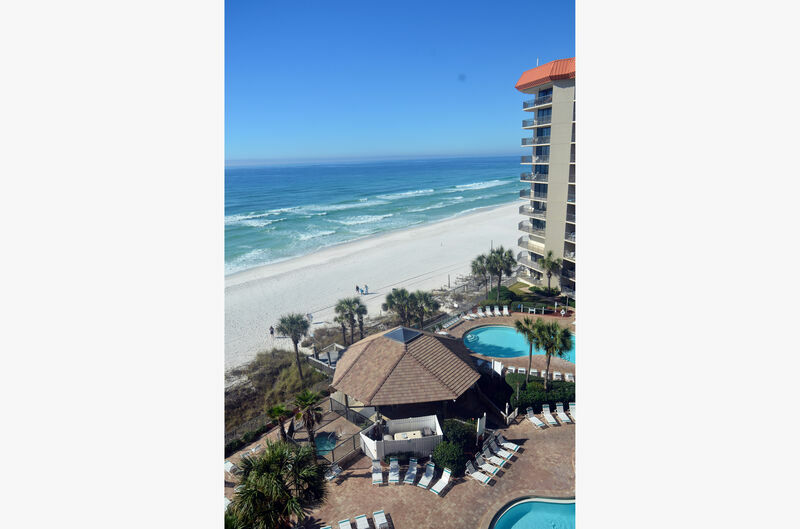 When you rent a condo from Emerald Beach Properties, you can be sure of exactly where you will be staying. What you see in this listing is where you will stay. 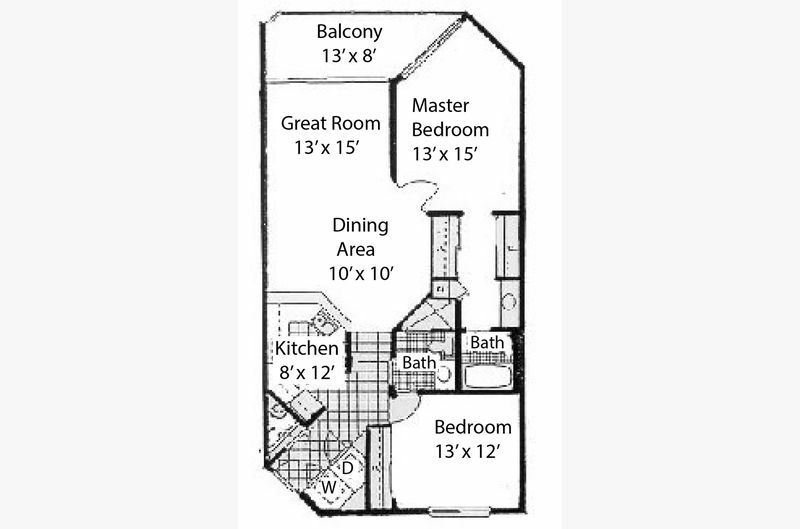 Yes, the unit is as nice as the photos, guaranteed! Why choose a luxury property managed by Emerald Beach Properties on behalf of the owner? We offer the advantages of a full service management company and vacation rental from an owner who takes pride in their property. 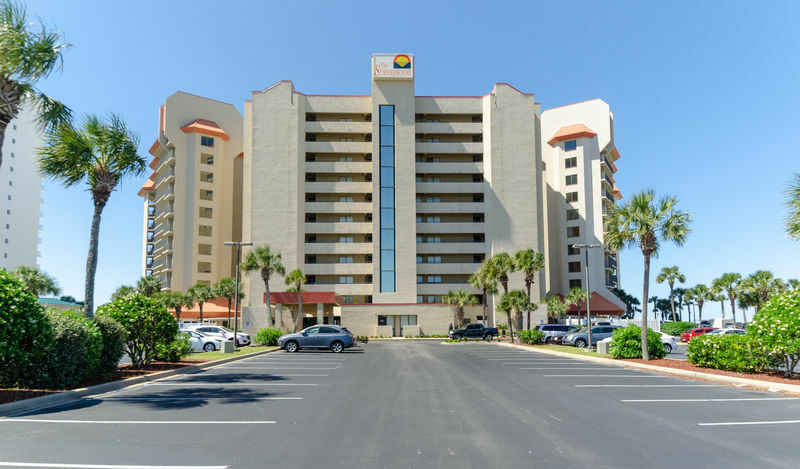 We’re here in Panama City Beach, with a local front desk and local staff on call 24 hours a day, 7 days a week! You vacation rental is professionally managed from start to finish. We are licensed, bonded and insured and all of our employees wear company ID badges for added security. We use state of the art technology to deliver secure booking and payments and quick responses to all your inquiries. Management, maintenance, rental services and housekeeping are all just a phone call or email away. Your vacation rental is professionally cleaned and maintained to our Emerald Quality Certified Vacation Rental Standards. Housekeeping is managed by our staff, all properties are double-inspected for quality assurance. Linens are professionally laundered and ironed, we use quality cleaning supplies and high temperature steam mops. We use ecofriendly cleaning practices that help preserve the earth’s precious resources while providing our guests the cleanest properties around! Our maintenance crew keeps all the properties we manage in top shape. Emerald Beach Properties gives you peace of mind with our state of the art door lock system. Lock codes change with each rental. You can choose your personal door code, too. All units are equipped with deadbolts in addition to the entry locksets. No more worrying about who else has access to your vacation rental! Delivering the very best vacation experience to you is our number one priority! 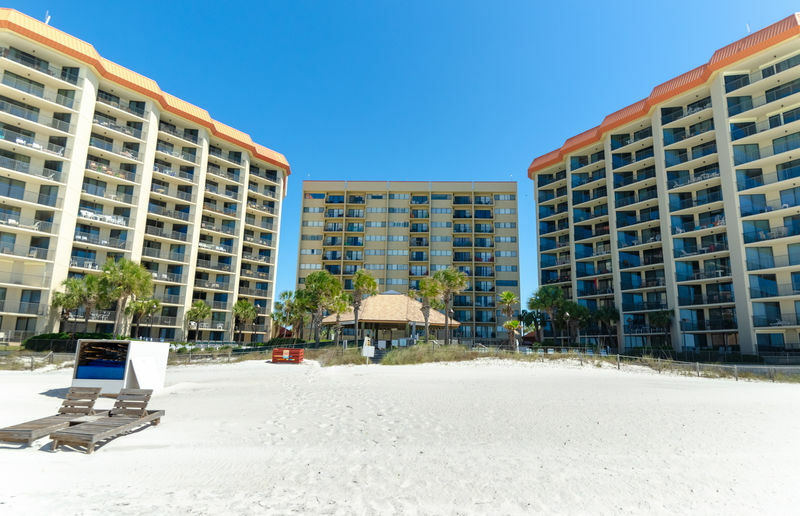 With Emerald Beach Properties, you can book with confidence knowing we’ll make Panama City Beach your Perfect Place in Paradise. 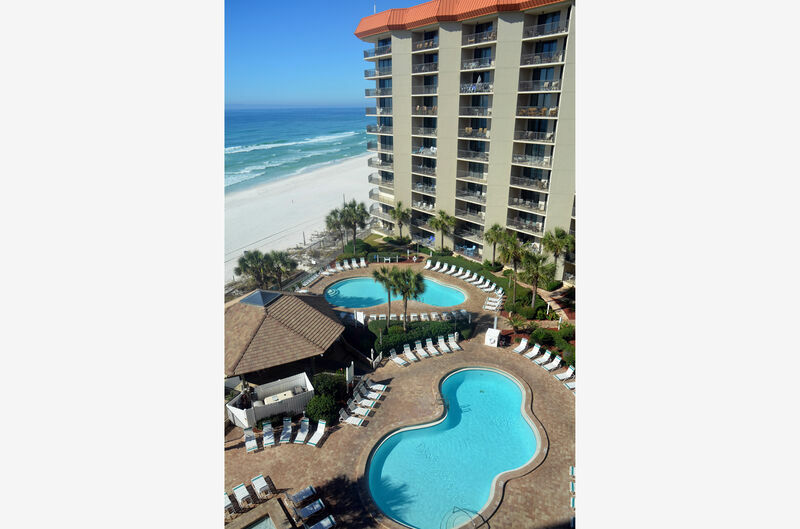 See you in Panama City Beach, FL! Luxurious king bed with high thread count sheets and a very comfortable mattress. This suite opens directly on to the beachfront balcony, too!